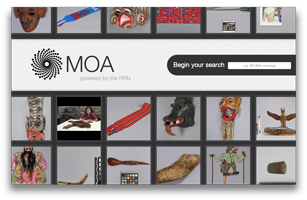 Once your institution becomes an RRN partner, you can make your collections available to visitors in your gallery using the RRN Kiosk and RRN Mobile apps. 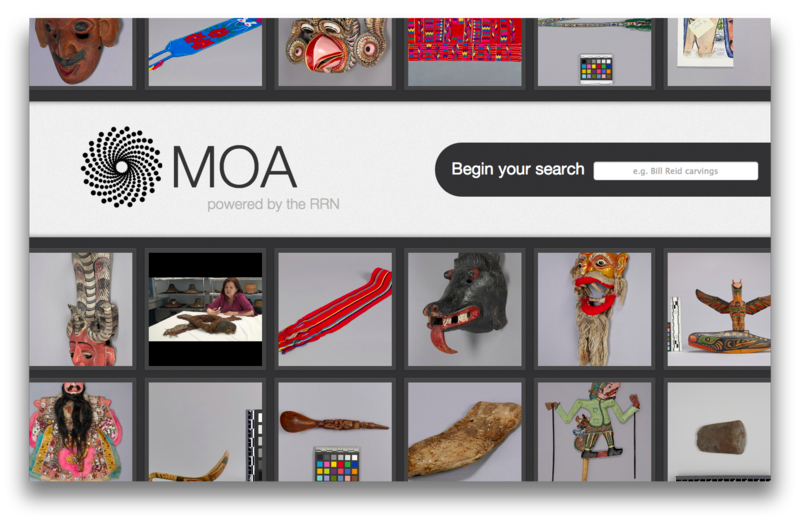 Powered by the RRN search, visitors can look up information about an item on their mobile devices, or using a kiosk within your gallery. 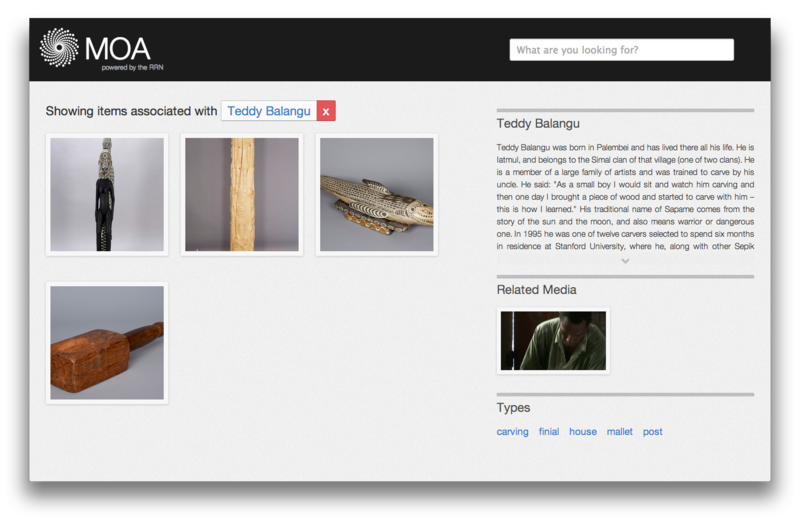 Additionally, you can provide videos and other media that can be linked to individual objects or search terms. 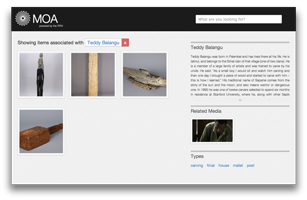 Videos are showcased on the kiosk home screen, and also appear in search results and on item records when appropriate. The kiosk and mobile apps run on the RRN web server, which means there's no software to install. 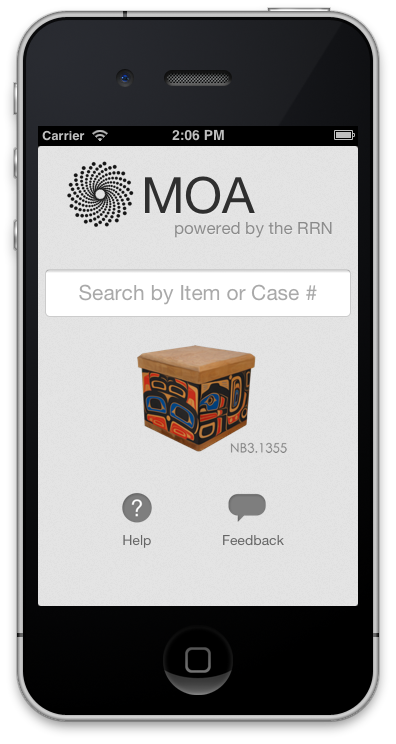 For the mobile app, just tell your visitors to go to your RRN mobile website. 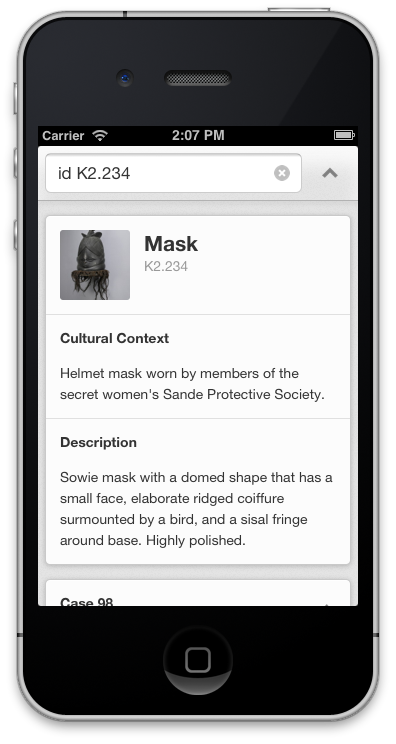 For the kiosk app, just bookmark your RRN kiosk website. For a fancier setup, contact us at technical@rrncommunity.org, and we'll guide you through the steps of customizing your apps, and creating a seamless kiosk and mobile visitor experience.